Bonds are a common investment for people targeting a low-risk investment portfolio. One of the pieces of advice I gave my kids (see others in this post) is to never buy anything you don’t understand. 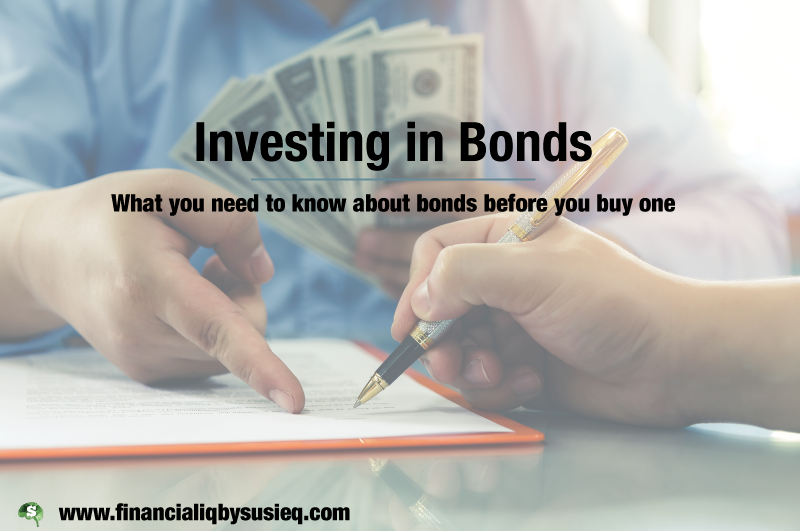 In this post, I’ll tell you what you need to know so you can decide whether investing in bonds is appropriate for you. A bond is a loan you are giving the issuer. The parties to the transaction are exactly opposite of you taking out a loan. You’ll see the parallels if you compare the information in this post with that provided in my post on loans! When you buy a bondA form of debt issued by government entities and corporations., you are the lender. The issuer of the bondA form of debt issued by government entities and corporations. is the borrower. • Credit cards: The amount of purchases you have made but not paid on your credit card ... More on a loan. When the issuer first sells the bonds, it receives the face amount for each bondA form of debt issued by government entities and corporations..
• Credit cards: The amount of purchases you have made but not paid on your credit card ... More in full. Before selling bonds, the issuer sets the couponThe interest payment on a loan. rate and the maturity date of the bondA form of debt issued by government entities and corporations.. The couponThe interest payment on a loan. rate is equivalent to the interest rateThe percentage which, when multiplied by the face amount or principal of a financial instrument, such as a bond, savings account or loan, determines the amount of interest that will be paid to or by t... More on a loan. The maturity date is the date on which the issuer will pay the par valueThe face amount of a bond. It is equivalent to the principal on a loan. The issuer gets the par value when it issues the bond and re-pays the par value when the bond matures. to the owner of the bondA form of debt issued by government entities and corporations.. It can vary from something very short, like a year, all the way to 30 years. In Europe, there are even bonds with maturity dates in 99 years. In the meantime, the issuer will pay coupons (interest) equal to the product of the couponThe interest payment on a loan. rate and the par valueThe face amount of a bond. It is equivalent to the principal on a loan. The issuer gets the par value when it issues the bond and re-pays the par value when the bond matures., divided by the number of coupons issued per year. Coupons are often issued quarterly. For example, if you owned a bondA form of debt issued by government entities and corporations. with a $1,000 par valueThe face amount of a bond. It is equivalent to the principal on a loan. The issuer gets the par value when it issues the bond and re-pays the par value when the bond matures., a 4% couponThe interest payment on a loan. rate and quarterly payments, you would get 1% of $1,000 or $10 a quarter in addition to the return of the par valueThe face amount of a bond. It is equivalent to the principal on a loan. The issuer gets the par value when it issues the bond and re-pays the par value when the bond matures. on the maturity date. You can buy bonds when they are first issued from the issuer or at a later date from other people who already own them. You can also sell bonds you own if you want the return of your initial investment before the bondA form of debt issued by government entities and corporations. matures. If you buy and sell bonds, the sale prices will be the market price of the bonds. 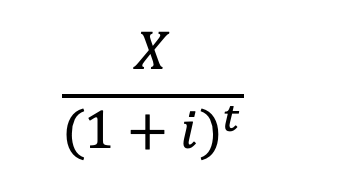 The denominator of (1+i) is raised to the power of t to adjust for the time element. • Credit cards: The amount of purchases you have made but not paid on your credit card ... More repayment at the interest rateThe percentage which, when multiplied by the face amount or principal of a financial instrument, such as a bond, savings account or loan, determines the amount of interest that will be paid to or by t... More at the time of the calculation is performed. The interest rateThe percentage which, when multiplied by the face amount or principal of a financial instrument, such as a bond, savings account or loan, determines the amount of interest that will be paid to or by t... More when the bondA form of debt issued by government entities and corporations. is issued is the couponThe interest payment on a loan. rate! Because the issuer sells the bonds at par valueThe face amount of a bond. It is equivalent to the principal on a loan. The issuer gets the par value when it issues the bond and re-pays the par value when the bond matures. (the face amount of the bondA form of debt issued by government entities and corporations. ), the par valueThe face amount of a bond. It is equivalent to the principal on a loan. The issuer gets the par value when it issues the bond and re-pays the par value when the bond matures. has to equal the market value. For the math to work, the couponThe interest payment on a loan. rate must equal the interest rateThe percentage which, when multiplied by the face amount or principal of a financial instrument, such as a bond, savings account or loan, determines the amount of interest that will be paid to or by t... More at the time the bondA form of debt issued by government entities and corporations. is initially sold. If interest rates change (more on that in a minute) after a bondA form of debt issued by government entities and corporations. is issued, the market value will change and become different from the par valueThe face amount of a bond. It is equivalent to the principal on a loan. The issuer gets the par value when it issues the bond and re-pays the par value when the bond matures. because the “i” in the formula above will change. When the interest rateThe percentage which, when multiplied by the face amount or principal of a financial instrument, such as a bond, savings account or loan, determines the amount of interest that will be paid to or by t... More increases, the price of the bonds goes down and vice versa. Also, as the bondA form of debt issued by government entities and corporations. gets closer to its maturity date, the exponent “t” in the formula will get smaller so it will have less impact on the present valueThe value today of a stated amount of money you receive in the future. It is calculated by dividing the stated amount of money by 1 + the interest rate adjusted for the length of time, t, between th... More, making the present valueThe value today of a stated amount of money you receive in the future. It is calculated by dividing the stated amount of money by 1 + the interest rate adjusted for the length of time, t, between th... More bigger. As such, all other things being equal, a bondA form of debt issued by government entities and corporations. that has a shorter time to maturity will have a higher market price than a bondA form of debt issued by government entities and corporations. that has a longer time to maturity. Remember that the par valueThe face amount of a bond. It is equivalent to the principal on a loan. The issuer gets the par value when it issues the bond and re-pays the par value when the bond matures. is all paid at the end, so the market price formula is highly influenced by the present valueThe value today of a stated amount of money you receive in the future. It is calculated by dividing the stated amount of money by 1 + the interest rate adjusted for the length of time, t, between th... More of the repayment of the par valueThe face amount of a bond. It is equivalent to the principal on a loan. The issuer gets the par value when it issues the bond and re-pays the par value when the bond matures.. There are two factors specific to an individual bondA form of debt issued by government entities and corporations. that influence the interest rateThe percentage which, when multiplied by the face amount or principal of a financial instrument, such as a bond, savings account or loan, determines the amount of interest that will be paid to or by t... More that underlies its price – the bond’s time to maturity and the issuer’s credit rating. In addition, there are broad market factors that influence the interest rates for all bonds. These factors influence the overall level of interest rates as well as the shape of the yield curveThe relationship between interest rates and the maturities of bonds with the same quality and characteristics.. The line on this graph is called a yield curveThe relationship between interest rates and the maturities of bonds with the same quality and characteristics.. It represents the pattern of yields by maturity. In this case, there is some variation in yields up to 5 years and then the line goes up. A “normal” yield curveThe relationship between interest rates and the maturities of bonds with the same quality and characteristics. would go up continuously all the way from the left to the right of the graph. Up to five years, the chart above would be considered essentially “flat” and, above five years, would be considered normal. If the entire yield curveThe relationship between interest rates and the maturities of bonds with the same quality and characteristics. went down, similar to what we see in the very short segment from one year to two years in this graph, it would be considered inverted. The yield curveThe relationship between interest rates and the maturities of bonds with the same quality and characteristics. along with the maturity date of a bondA form of debt issued by government entities and corporations. influencethe interest rateThe percentage which, when multiplied by the face amount or principal of a financial instrument, such as a bond, savings account or loan, determines the amount of interest that will be paid to or by t... More and therefore its market price. Looking at US Government bonds, the interest rates for bonds with maturities between 0 and 7 years are all around 2.5%. The price of a 30-year bondA form of debt issued by government entities and corporations. 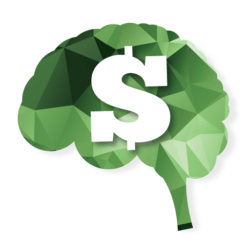 will reflect interest rateThe percentage which, when multiplied by the face amount or principal of a financial instrument, such as a bond, savings account or loan, determines the amount of interest that will be paid to or by t... More of about 3%. If the yield curveThe relationship between interest rates and the maturities of bonds with the same quality and characteristics. didn’t change at all, the same 30-year bondA form of debt issued by government entities and corporations. would be priced using a 2.5% interest rateThe percentage which, when multiplied by the face amount or principal of a financial instrument, such as a bond, savings account or loan, determines the amount of interest that will be paid to or by t... More in 23 years (when it has 7 years until maturity). With the lower interest rateThe percentage which, when multiplied by the face amount or principal of a financial instrument, such as a bond, savings account or loan, determines the amount of interest that will be paid to or by t... More, the market value of the bondA form of debt issued by government entities and corporations. will increase (in addition to the increase in market value because the maturity date is closer). The other important factor that affects the price of a bond is its credit rating. Credit ratings work in the same manner as your credit score does. If you have a low credit score (see my post on credit scores for more information), you pay a higher interest rateThe percentage which, when multiplied by the face amount or principal of a financial instrument, such as a bond, savings account or loan, determines the amount of interest that will be paid to or by t... More when you take out a loan. The same thing happens to a bondA form of debt issued by government entities and corporations. issuer – it pays a higher interest rateThe percentage which, when multiplied by the face amount or principal of a financial instrument, such as a bond, savings account or loan, determines the amount of interest that will be paid to or by t... More if it has a low credit rating. Instead of having a numeric credit score, bonds are assigned letters as credit ratings. There are several companies that rate bonds, with Standard and Poors (S&P), Moodys and Fitch being the biggest three. When you buy a bondA form of debt issued by government entities and corporations. (more on that later), the credit rating for the bondA form of debt issued by government entities and corporations. will be quite clearly stated. The graph below summarizes information I found on the website of the St. Louis Federal Reserve Bank (FRED). 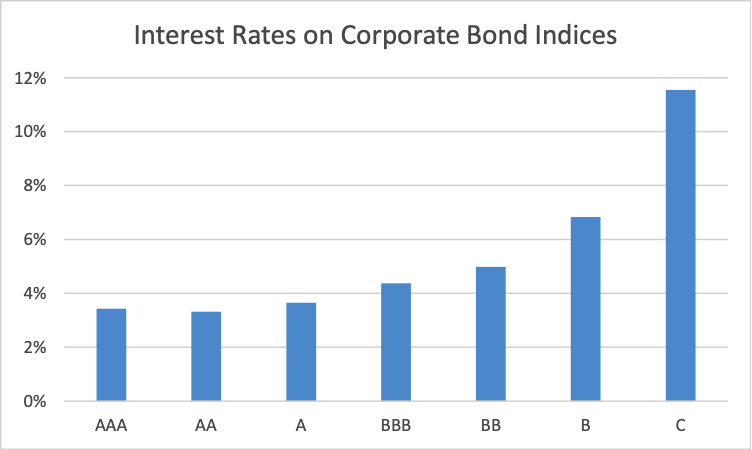 It shows the interest rates on corporate bonds with different credit ratings on February 28, 2019. As you can see, there is very little difference in the interest rates of bonds rated AAA, AA and A, with a slightly higher interest rateThe percentage which, when multiplied by the face amount or principal of a financial instrument, such as a bond, savings account or loan, determines the amount of interest that will be paid to or by t... More for bonds rated BBB. Bonds with BBB ratings and higher are considered investment grade. Bonds with ratings lower than BBB are called less-than-investment grade, high yield or junk. You can see that the interest rates on bonds with less-than-investment grade ratings increase very rapidly, with C-rated bonds having interest rates close to 12%. There are two risks – default and market – that are inherent in bonds themselves and a third – inflation – related to using them as an investment. Default riskThe possibility that something bad will happen. is the chance that the issuer will default or not make all of its couponThe interest payment on a loan. payments or not return the full par valueThe face amount of a bond. It is equivalent to the principal on a loan. The issuer gets the par value when it issues the bond and re-pays the par value when the bond matures. when it is due. When an issuer defaults on a bondA form of debt issued by government entities and corporations., it may pay the bondA form of debt issued by government entities and corporations. owner a portion of what is owed or it could pay nothing. The percentage of the amount owed that is not repaid is called the “loss given default.” If the loss given default is 100%, you lose the full amount of your investment in the bondA form of debt issued by government entities and corporations., other than couponThe interest payment on a loan. payments you received before the default. At the other extreme, if the loss given default is only 10%, you would receive 90% of what is owed to you. Issuers of bonds with low credit ratings are considered riskier, meaning they are expected to have a higher chance that they will default than issuers with high credit ratings. 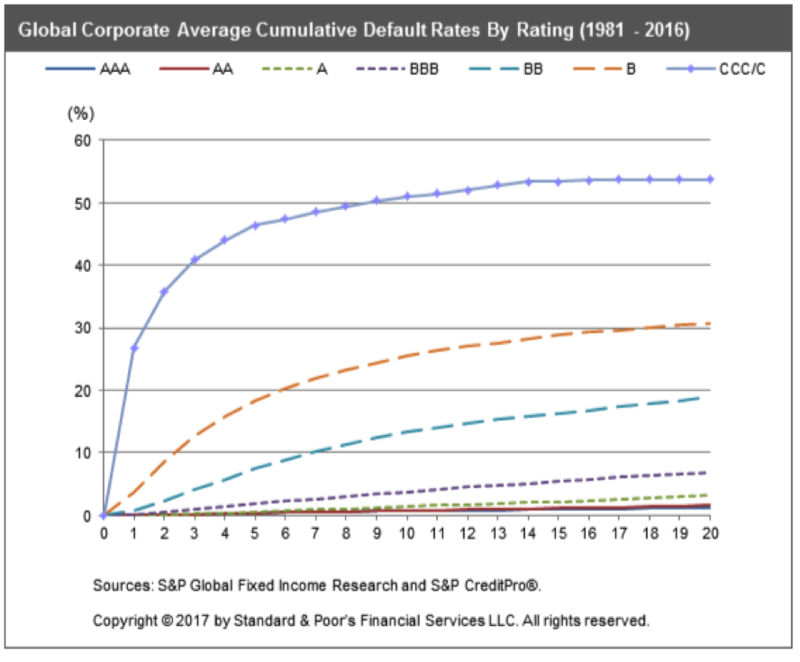 I always find this chart from S&P helpful in understanding default riskThe possibility that something bad will happen.. It shows two things – the probabilityA percentage or the equivalent fraction that falls between 0% and 100% (i.e., between 0 and 1) that represents the ratio of the number of times that the outcome meets some criteria to the number of po... More of an issuer defaulting increases as the credit rating gets lower (e.g., the B line is higher than the A line) and the probabilityA percentage or the equivalent fraction that falls between 0% and 100% (i.e., between 0 and 1) that represents the ratio of the number of times that the outcome meets some criteria to the number of po... More of default increases the longer the time until maturity. These increases in the probabilityA percentage or the equivalent fraction that falls between 0% and 100% (i.e., between 0 and 1) that represents the ratio of the number of times that the outcome meets some criteria to the number of po... More of default correspond to increases in riskThe possibility that something bad will happen.. Recall from the previous section that interest rates increase as there is a longer time to maturity when the yield curveThe relationship between interest rates and the maturities of bonds with the same quality and characteristics. is normal and as the credit rating gets lower. The higher interest rates are compensation to the owner of the bondA form of debt issued by government entities and corporations. for the higher riskThe possibility that something bad will happen. of default. When you read the previous section and saw you could earn between just under 12% on a C-rated bondA form of debt issued by government entities and corporations., you might have gotten interested. However, it has almost a 50% chance of defaulting in 7 years! The trade-off is that you’d have to be willing to take the riskThe possibility that something bad will happen. that the issuer would have a 26% chance of defaulting in the first year and a 50% chance by the seventh year! It makes the 12% couponThe interest payment on a loan. rate look much less attractive. As I mentioned above, you can buy and sell bonds in the open market as an alternative to holding them to maturity. In either case, you will receive the couponThe interest payment on a loan. payments while you own the bondA form of debt issued by government entities and corporations., as long as the issuer hasn’t defaulted on them. If you buy a bondA form of debt issued by government entities and corporations. with the intention of selling it before it matures, you have the riskThe possibility that something bad will happen. that the market value will decrease between the time you purchase it and the time you sell it. Decreases in market values correspond to increases in interest rates. These increases can emanate from changes in the overall market for bonds or because the credit rating of the bondA form of debt issued by government entities and corporations. has deteriorated. • Credit cards: The amount of purchases you have made but not paid on your credit card ... More. So, you can eliminate market riskThe possibility that something bad will happen. if you hold a bondA form of debt issued by government entities and corporations. to maturity. The third riskThe possibility that something bad will happen. – inflation riskThe possibility that something bad will happen. – is the riskThe possibility that something bad will happen. that inflation rates will be higher than the total return on the bondA form of debt issued by government entities and corporations.. Let’s say you buy a bondA form of debt issued by government entities and corporations. with a $100 par valueThe face amount of a bond. It is equivalent to the principal on a loan. The issuer gets the par value when it issues the bond and re-pays the par value when the bond matures. for $90, it matures in 5 years and the coupons are paid at 2%. Using the formulas above, I can determine that your total return (the 2% coupons plus the appreciation on the bondA form of debt issued by government entities and corporations. from $90 to $100 over 5 years) is 4.3%. You might have purchased this bondA form of debt issued by government entities and corporations. as part of your savings for a large purchase. If inflation caused the price of your large purchase to go up at 5% per year, you wouldn’t have enough money saved because your bondA form of debt issued by government entities and corporations. returned only 4.3%. Inflation riskThe possibility that something bad will happen. exists for almost every type of invested asset you purchase if your purpose for investing is to accumulate enough money for a future purchase. There are two components to the return you earn on a bondA form of debt issued by government entities and corporations. – the coupons and appreciation (the difference between what you paid for it and what you get when you sell it or it matures). The coupons are considered as interest in the US tax calculation. Interest is included with your wages and many other sources of income in determining your taxes which have tax rates currently ranging from 10% to 37% depending on your income. The difference between your purchase price and your sale price or the par valueThe face amount of a bond. It is equivalent to the principal on a loan. The issuer gets the par value when it issues the bond and re-pays the par value when the bond matures. upon maturity is considered a capital gain. In the US, capital gains are taxed in a different manner from other income, with a lower rate applying for most people (0%, 15% or 20% depending on your total income and amount of capital gains). States that have income taxes usually follow the same treatment with lower tax rates than the Federal government, but not always. Within this framework, though, not all bonds are treated the same. The description above applies to corporate bonds. Bonds issued by the US government are taxed by the Federal government but the returns are tax-free in most states. Some bonds are issued by a state, municipality or related entity. The interest on these bonds is not taxed by the Federal government and is usually not taxed if you pay taxes in the same state that the issuer is located. Capital gains on these bonds are taxed in the same manner as corporate bonds. Included in this category of bonds are revenue bonds. Revenue bonds are issued by the same types of entities, but are for a specific project. They have higher credit riskThe possibility that something bad will happen. than a bondA form of debt issued by government entities and corporations. issued by a state or municipality because they are backed by only the revenues from the project and not the issuer itself. The manner in which a bondA form of debt issued by government entities and corporations. is taxed is important to your buying decision as it affects how much money you will keep for yourself after buying the bondA form of debt issued by government entities and corporations.. You should consult your broker or your tax advisor if you have any questions specific to your situation. TIPS are similar to US Government bonds except that the par valueThe face amount of a bond. It is equivalent to the principal on a loan. The issuer gets the par value when it issues the bond and re-pays the par value when the bond matures. isn’t constant. The impact of inflation as measured by the Consumer Price Index is determined between the issue date and the maturity date. If inflation over the life of the bondA form of debt issued by government entities and corporations. has been positive, the owner of the bondA form of debt issued by government entities and corporations. will be paid the original par valueThe face amount of a bond. It is equivalent to the principal on a loan. The issuer gets the par value when it issues the bond and re-pays the par value when the bond matures. adjusted for the impact of inflation. If it has been negative, the owner receives the original par valueThe face amount of a bond. It is equivalent to the principal on a loan. The issuer gets the par value when it issues the bond and re-pays the par value when the bond matures.. In this way, the owner’s inflation riskThe possibility that something bad will happen. is reduced. It is completely eliminated if the owner purchased the bondA form of debt issued by government entities and corporations. to buy something whose value increases exactly with the Consumer Price Index. Savings bonds are a form of US Government bondA form of debt issued by government entities and corporations.. You can buy them with par values of as little as $25. They can be purchased for terms up to 30 years. Currently, savings bonds pay interest a 0.1% a year. The interest is compounded semi-annually and paid to the owner with the par valueThe face amount of a bond. It is equivalent to the principal on a loan. The issuer gets the par value when it issues the bond and re-pays the par value when the bond matures. when the bondA form of debt issued by government entities and corporations. matures. With the currently very low interest rates, these bonds are very unattractive. • Credit cards: The amount of purchases you have made but not paid on your credit card ... More payment. So, instead of paying the par valueThe face amount of a bond. It is equivalent to the principal on a loan. The issuer gets the par value when it issues the bond and re-pays the par value when the bond matures. for a newly issued bondA form of debt issued by government entities and corporations. and getting couponThe interest payment on a loan. payments, the buyer pays a much lower price and gets the par valueThe face amount of a bond. It is equivalent to the principal on a loan. The issuer gets the par value when it issues the bond and re-pays the par value when the bond matures. when the bondA form of debt issued by government entities and corporations. matures. • Traditional - No taxes are paid on the contributions or any changes in the market value of the investments ... More, a 401(k)A type of Defined Contribution Plan available in the US. There are three types of contributions that can be made to 401(k)s.
• Traditional - No taxes are paid on the contributions or any changes in the market value of the investments ... More. If you want to buy a zero-coupon bondA form of debt issued by government entities and corporations., I suggest talking to your broker or tax advisor to make sure you understand the tax ramifications. A call is a financial instrumentAny investment that you purchase. Examples include an exchange-traded fund, a mutual fund, stock in an individual company, a bond and a money market fund. There are also many more complex financia... More that gives one party the option to do something. In this case, the issuer of the bondA form of debt issued by government entities and corporations. is given the option to give you the par valueThe face amount of a bond. It is equivalent to the principal on a loan. The issuer gets the par value when it issues the bond and re-pays the par value when the bond matures. earlier than the maturity date. When the issuer decides to exercise this option, the bondA form of debt issued by government entities and corporations. is said to be “called.” The bondA form of debt issued by government entities and corporations. contract includes information about when the bondA form of debt issued by government entities and corporations. is callable and under what terms. If you purchase a callable bondA form of debt issued by government entities and corporations., you’ll want to understand those terms. Issuers are more likely to call a bondA form of debt issued by government entities and corporations. when interest rates have decreased. When interest rates go down, the issuer can sell new bonds at the lower interest rateThe percentage which, when multiplied by the face amount or principal of a financial instrument, such as a bond, savings account or loan, determines the amount of interest that will be paid to or by t... More and use the proceeds to re-pay the callable bondA form of debt issued by government entities and corporations., thereby lowering its cost of debt. Convertible bonds allow the issuer to convert the bondA form of debt issued by government entities and corporations. to some form of stock. As will be explained below, stocks are riskier investments than bonds. If you buy a convertible bondA form of debt issued by government entities and corporations., you’ll want to understand when and how the issuer can convert the bondA form of debt issued by government entities and corporations. and consider whether you are willing to own stock in the company instead of a bondA form of debt issued by government entities and corporations.. There are two other types of financial instruments that people consider buying as common alternatives to bonds – bondA form of debt issued by government entities and corporations. mutual funds and stocks. I’ll briefly explain the differences between owning a bondA form of debt issued by government entities and corporations. and each of these alternatives. There are two significant differences between owning a bondA form of debt issued by government entities and corporations. fund and own a bondA form of debt issued by government entities and corporations.. If you own a bond fund, you are usually buying an ownership share in a pool containing a relatively large number of bonds. Owning more bonds increases your diversification (see this post for more on that topic). With bonds, the biggest benefit from diversificationThe reduction in volatility created by combining two or more processes (such as the prices of financial instruments) that do not have 100% correlation. is that it reduces the impact of a single issuer defaulting on its payments. If you own one bondA form of debt issued by government entities and corporations., the issuer defaults and the loss given default is 50%, you’ve lost 50% of your investment. If you own 100 bonds and one of them defaults with a 50% loss given default, you lose 0.5% of your investment. Recall that you eliminate market riskThe possibility that something bad will happen. if you hold a bondA form of debt issued by government entities and corporations. until it matures. Almost all bondA form of debt issued by government entities and corporations. funds buy and sell bonds on a regular basis, so the value of the bondA form of debt issued by government entities and corporations. fund is always the market price of the bonds. Because the market price of bonds can fluctuate, owners of bondA form of debt issued by government entities and corporations. funds are subject to market riskThe possibility that something bad will happen.. When you buy stock in a company, you have an ownership interest in the company. When you own a bondA form of debt issued by government entities and corporations., you are a lender but have no ownership rights. To put these differences in perspective, owning a stock is like owning a share in vacation home along with other members of your extended family. By comparison, owning a bondA form of debt issued by government entities and corporations. is like being the bank that holds the mortgage on that vacation home. The market riskThe possibility that something bad will happen. for stocks is much greater than for bonds. Ignoring defaults for the moment, the issuer has promised to re-pay you the par valueThe face amount of a bond. It is equivalent to the principal on a loan. The issuer gets the par value when it issues the bond and re-pays the par value when the bond matures. of the bondA form of debt issued by government entities and corporations. plus the coupons, both of which are known and fixed amounts. With a stock, you are essentially buying a share of the future profits, whose amounts are very uncertain. The default riskThe possibility that something bad will happen. for stocks is also greater than for bonds. When a company gets in financial difficulties, there is a fixed order in which people are paid what they are owed. Employees and vendors get highest priority, so get paid first. If there is money left over after paying all of the employees and vendors, then bondholders are re-paid. After all bondholders have been re-paid, any remaining funds are distributed among stockholders. Because stockholders take lower priority than bondholders, they are more likely to lose some or all of their investment if the company experiences severe financial difficulties or goes bankrupt. Companies often issue bonds on a somewhat regular basis. When a bondA form of debt issued by government entities and corporations. is issued, it is assigned a certain seniority. This feature refers to the order in which the company will re-pay the bonds if it encounters financial difficulties. If you decide to invest in bonds of individual companies, especially less-than-investment grades bonds, you’ll want to understand the seniority of the particular bondA form of debt issued by government entities and corporations. you are buying because it will affect the level of default riskThe possibility that something bad will happen.. Lower seniority bonds have lower credit ratings, so the credit rating will give you some insight regarding the seniority. There isn’t a right or a wrong time to buy a bondA form of debt issued by government entities and corporations., just as is the case with any other financial instrumentAny investment that you purchase. Examples include an exchange-traded fund, a mutual fund, stock in an individual company, a bond and a money market fund. There are also many more complex financia... More. The most important thing about buying a bondA form of debt issued by government entities and corporations. is making sure you understand exactly what you are buying, how it fits in your investment strategy and its risks. If you are interested in a low riskThe possibility that something bad will happen. investment portfolioA group of financial instruments., US Government and high-quality corporate bonds might be a good investment for you. As you think about this type of purchase, you’ll also want to think about the following considerations. If you are saving for a specific purchase, you could consider buying small positions in bonds of several different companies or US government bonds with maturities corresponding to when you need the money. 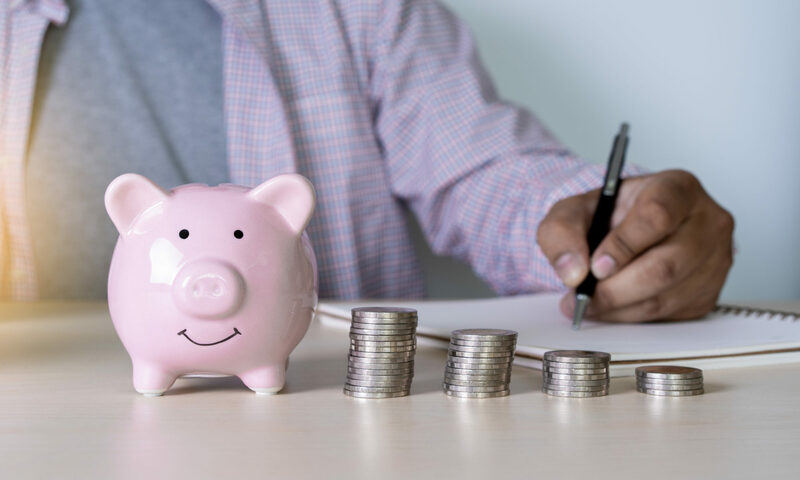 If you’ll need the money in less than a year or two, you might be better off buying a certificate of depositA savings certificate, usually issued by a commercial bank, that has a stated maturity and interest rate. Certificates of deposit, often called CDs, are insured by the Federal Deposit Insurance Corp... More or putting the money in a money market or high yield savings account. 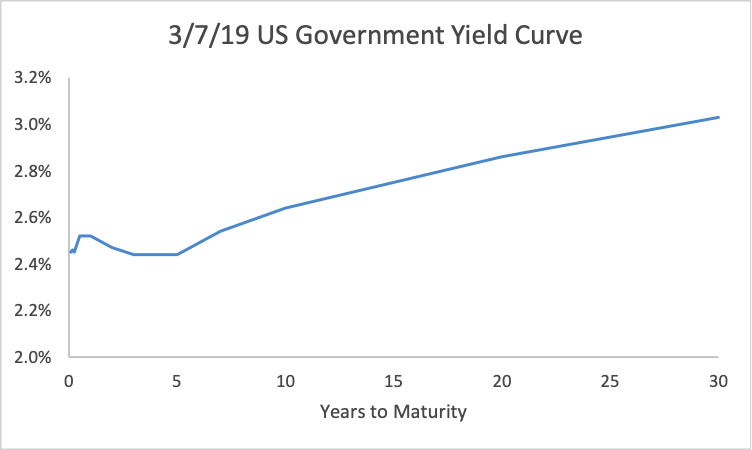 If it is a long time until you’ll need the money and you think interest rates might go up, you’ll want to consider whether you can buy something with a maturity sooner than your target date without sacrificing too much yield so you can buy another bondA form of debt issued by government entities and corporations. in the future at a higher interest rateThe percentage which, when multiplied by the face amount or principal of a financial instrument, such as a bond, savings account or loan, determines the amount of interest that will be paid to or by t... More. If you aren’t willing to take any default riskThe possibility that something bad will happen., you’ll want to invest in US government bonds. If you are willing to take a little default riskThe possibility that something bad will happen., you can buy high-quality (e.g., AAA or AA) corporate bonds. You’ll want to buy small positions is a fairly large number of companies, though, to make sure you are diversified. If you are willing to take some market riskThe possibility that something bad will happen., you can more easily attain a diversified portfolioA group of financial instruments. by investing in a bondA form of debt issued by government entities and corporations. mutual fund. As mentioned above, you’ll want to consider whether you think interest rates will go up or down during your investment horizon. If you think that are going to go up, there is a higher riskThe possibility that something bad will happen. of market values going down than if you think they will be flat. In this situation, a bondA form of debt issued by government entities and corporations. fund becomes somewhat riskier than buying bonds to hold them to maturity. If you think interest rates are going to go down, there is more possible appreciation than if you think they will be flat. If you want to make higher return and are willing to take more default riskThe possibility that something bad will happen., you can consider buying bonds of lower quality. As shown in the chart above, non-investment grade bonds pay coupons at very high interest rates. However, you need to recognize that you are taking on significantly more default riskThe possibility that something bad will happen.. One approach for dabbling in high-yield bonds is to invest in a mutual fund that specializes in those securities. In that way, you are relying on the fund manager to decide which high-yield bonds have less default riskThe possibility that something bad will happen.. You’ll also get much more diversificationThe reduction in volatility created by combining two or more processes (such as the prices of financial instruments) that do not have 100% correlation. than you can get on your own unless you have a lot of time and money to invest in the bonds of a large number of companies. You can buy individual bonds and bond mutual funds at any brokerage firm. Many banks, particularly large ones, have brokerage divisions, so you can often buy bonds at a bank. This article by Invested Wallet provides details on how to open an account at a brokerage firm. All US Government bonds, including Savings Bonds and TIPS can be purchased at Treasury Direct, a service of the US Treasury department. You’ll need to enter your or, if the bondA form of debt issued by government entities and corporations. is a gift, the recipient’s social security number and both you and, if applicable, the recipient need to have accounts with Treasury Direct. US Savings Bonds can be bought only through Treasury Direct. You can buy all other types of government bonds at any brokerage firm, as well. Next PostNext Should Chris Pay off his Mortgage?